Obviously, there is one big downside to applying for secured loans. You would have to use your property as security, though you can also use another valuable asset such as a car. If you fail to make the predetermined monthly payments, you are risking losing your home or other asset, which is not something to be done without careful thought. The other big disadvantage is that although it feels like you are paying less, that is almost certainly because your payments are going on for much longer, meaning you actually pay much more by the time your loan has ended. On the other hand, you can opt for unsecured debt consolidating loans. You would not be required to put up any collateral here, but you may have to pay slightly higher interest rates. But still, similar to secured debt consolidation loans, all your existing debts can be combined into just one debt that is a lot easier to manage. 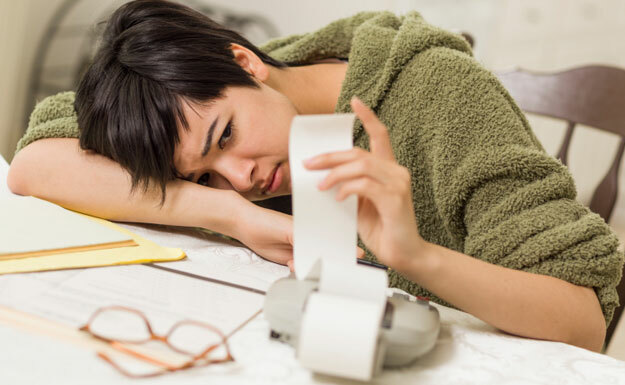 Anyone who has experienced financial problems may well come across the problem of not being able to get an unsecured loan because of their credit record. Your credit record is likely to be less of a problem if you are going for a secured loan against your properly, as your asset gives the lender the security they need that they will be repaid if you default on the loan. Is There A Better Alternative For Paying Off Debt? Whether you decide to go for secured or unsecured debt consolidation loans, there is yet another option that you should not fail to consider first. The other highly popular solution is the debt management plan. These offer a more personalized option for resolving your financial burdens because a debt management expert will assess your current situation. Most importantly, they do not involve taking on any more debt, but focus instead on repaying what you owe in a more affordable way. In many respects taking out another loan is the last thing you ought to be doing when you are struggling to pay the debts you already have. A debt advisor will go through your finances and after determining how much you earn and how much you owe, a proposal for a plan will be arrived at if your situation is suitable. The financial expert may recommend debt consolidation wherein they will negotiate with your different debtors for a lower monthly payment and interest rate. All the same, the point of the exercise is to combine all your debts into one payment plan that is easier to afford and manage.